SUNDAY, May 15, 2016 (HealthDay News) -- The out-of-pocket price for a standard chest X-ray, CT scan or ultrasound can vary by hundreds of dollars, depending on where the imaging is done, new research reveals. And uninsured patients trying to get the cost in advance may face an uphill battle, investigators caution, with hospitals slower to respond than stand-alone imaging centers. How slow? Calls made to six hospitals and five private imaging centers in the Philadelphia region got answers from half of the hospitals within five to 10 minutes, researchers said. But one-third of the hospitals took between 10 and 15 minutes, while the rest took even longer. While none of the independent imaging centers took longer than 10 minutes to provide radiology cost information (and calls were never transferred), nearly 10 percent of the hospitals ignored two patient inquiries made over the course of three days, the findings showed. "The lack of price transparency is certainly not isolated to the field of radiology alone," said study co-author Dr. Mindy Licurse, a diagnostic radiology resident with the University of Pennsylvania Health System. For example, a 2014 analysis by the Health Care Incentives Improvement Institute in Connecticut and Catalyst for Payment Reform in California revealed that most states lack laws making health cost information available to consumers. "Our study certainly contributes to the underlying hypothesis that pricing information within health care, specifically imaging in this case, may be difficult to obtain depending on the setting, and therefore comparison-shopping by patients is limited," she added. Licurse and study co-author Dr. William Boonn were scheduled to present their findings Sunday in Washington, D.C., at a meeting of the American College of Radiology (ACR). Research presented at meetings is usually considered preliminary until published in a peer-reviewed medical journal. The researchers focused on three commonly ordered exams: so-called two-view chest X-rays; CT scans of the abdomen/pelvis with contrast; and pelvic ultrasounds. Across hospitals and imaging centers in three states, X-ray costs varied from a low of $41 to a high of $285. CT scan costs ranged from $437 to $2,239, while ultrasounds went from $150 to $592, the study revealed. Hospital pricing, when provided, was consistently higher for all procedures, the study found. 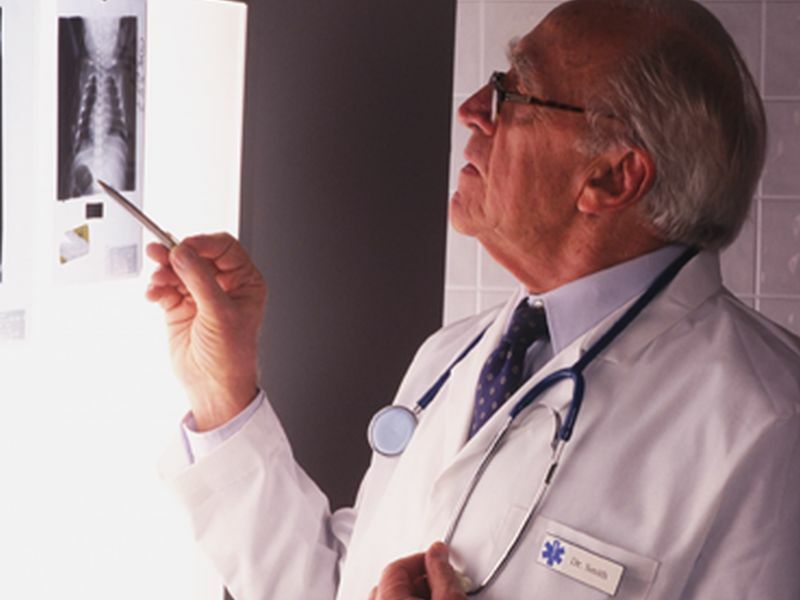 For example, the average hospital price for an X-ray was $140, compared with $76 at an imaging center. Similarly, average CT scan and ultrasound prices were $1,146 and $442, respectively, at hospitals, compared with $586 and $263, respectively, at independent facilities. Licurse said the solution to the pricing transparency problem "is unlikely [to be] straightforward." "Combating health care costs has, of course, been a growing focus amongst policymakers as well as consumers," she said. But, "price transparency is most likely only a small piece of the solution, of which the impact is debatable." Still, Licurse said, price transparency could contribute to containment of health costs "by improving cost awareness among both physicians as well as patient consumers, possibly leading to lowering of prices for the sake of remaining competitive." Other schools of thought have warned that consumer-shopping may, however, lead to decreased quality of exams to account for lower pricing, she added. The trick is finding "the appropriate balance," Licurse suggested. That concern was seconded by Dr. Geraldine McGinty, a radiologist with Weill Cornell Imaging at New York-Presbyterian in New York City. She is also chair of the American College of Radiology's economics commission. "Price transparency is a laudable goal," she said. "But, it's important that our patients have tools to help them understand potential differences in quality." McGinty suggested that the ACR's own accreditation programs are one good resource for radiology pricing and quality information. "We should, however, not make our patients jump through hoops and have to make multiple calls to get an answer," she added. "Patient-centered care should involve prompt responses to questions, not just about billing. "Part of making our patients feel secure about the care they will receive from us includes being able to answer questions about billing in an efficient and open way," she said. SOURCES: Mindy Licurse, M.D., diagnostic radiology resident, University of Pennsylvania Health System, Philadelphia; Geraldine B. McGinty, M.D., MBA, FACR, radiologist, Weill Cornell Imaging, New York-Presbyterian, New York City, and chair, American College of Radiology Economics Commission; American College of Radiology meeting, May 15, 2016, Washington, D.C.